IBISWorld has released their annual report on the state of the document management industry. They define the market as record storage companies, document shredding companies, and document scanning companies. They have put the value of the market at $5.0 billion with an annual growth rate of 1.9% over the last five years. Serving the market are 1,500 business and nearly 30,000 employees. The privacy laws covering the retention and destruction of documents is helping to drive the growth. There are also a move by healthcare agencies to digitize documents by October of 2014 or face reduced Medicare payments which is driving the document scanning operations of many companies in the sector. The growth was despite the global recession that has impacted most businesses. The macro economic conditions have impacted the industry. The total revenue for records storage did see a dip of 4% in 2009 but has rebounded since then. 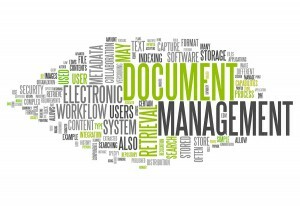 Where is the Document Management Industry Heading? Going forward IBISWorld sees the market as growing steadily for the next five years. The large national companies (Iron Mountain, Recall and Cintas) are expected to continue with growth through the acquisition of local and regional companies. This is in an effort by all three to increase economies of scale and market penetration of larger national companies. This all bodes well for the players in the document management industry. It is also a sign that companies appreciate the value of good records management. The days of just dumping old records in the broom closet are over. Information is the lifeblood of every well run business. While information has been moving toward digital formats it will be a few more years before there is a truly paperless office. Dental Records Storage and more! You also have 24/7 access to any file you store depending on the service you choose. Most files can be retrieved within the same or next business day, but most companies also offer emergency retrieval services if and when you need them. 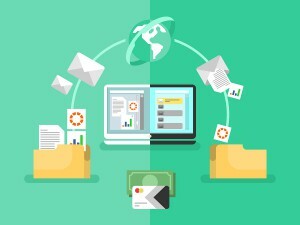 All files are indexed and stored in a secure facility that’s protected from natural disasters- the only people that can request a file or access the boxes of records you store have to be approved by your company. No matter which of our providers you choose, we do our best to select members for our network that can adhere to any and all statues, retention times, regulations, and laws specific to your industry. Get free quotes on records storage today! Information governance is an ever changing field as federal and state laws require more retention and faster discovery. We can help you manage your hard-copy records, and even guide you through the transition to a paperless office. If you’d like to learn more about records storage and management, visit our articles section or check out our blog!